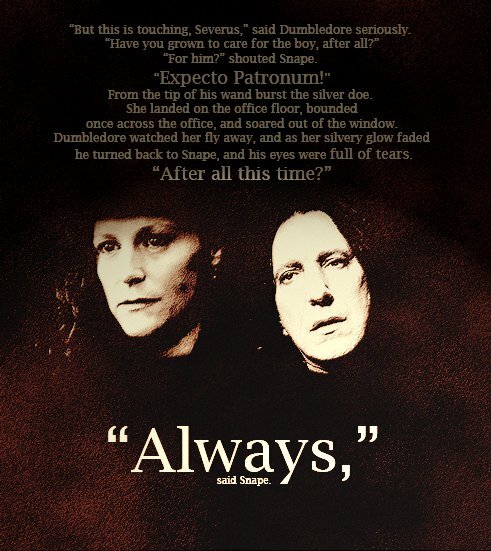 "Always.". . Wallpaper and background images in the Severus Snape club tagged: severus snape harry potter potions master alan rickman. This Severus Snape photo might contain anime, grappig boek, manga, cartoon, and stripboek.